Driver and Vehicle Services (DVS) Centres are undergoing colossal changes, much to the satisfaction of the WA public. Congratulations to Michael Holmes from the MTA WA, who was the winner of the 2018 Apprentice of the Year Award! Congratulations to four of our MTA WA Members who won awards at the 2018 Paint & Panel Bodyshop Awards! Penalties for breaches of Western Australia’s workplace health and safety laws increased from 3 October 2018. The annual Perth 4WD & Adventure Show is back for 2018! Head on down to McCallum Park, Victoria Park, this Friday-Sunday 9-11th November. We have a range of businesses seeking quality Apprentices for IMMEDIATE START! With more than 25 positions vacant, simply fill in our Expession of Interest Form and our Training team will be in contact. McGowan Government announces tougher penalties for workplace safety offences have come into effect this week. 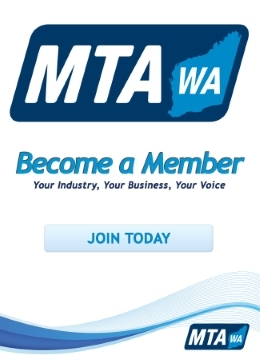 Minister for Small and Family Business, Skills and Vocational Education, Michaelia Cash, joined MTA WA Group CEO Stephen Moir to discuss the needs and concerns of the Apprentice, Training and Franchise Dealership Sectors. The MTA WA proudly attended the opening of Australia's first Tyre Museum/Peel Tyre Service's 21st Birthday celebrations last Thursday among a large crowd of supportive guests. Another brand has been added to the list of companies providing five-year warranties.